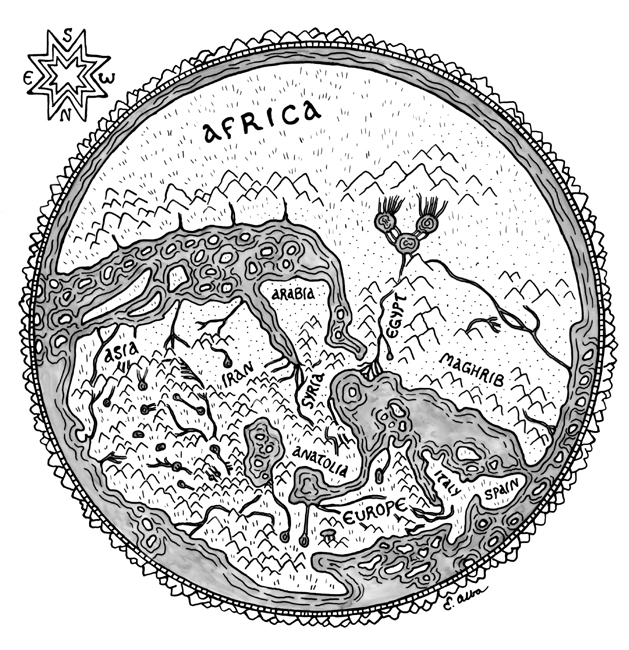 This is based on a well known map by Muhammad al-Idrisi, a geographer and cartographer during the time of the Crusades. Many maps made during this time were upside down, with south at the top! Click Here to see the original map.